Anchor Bay Films has released the first poster and a new photo from Ten Years, writer-director Jamie Linden's ensemble comedy that takes place at a 10-year high school reunion. Channing Tatum stars alongside his wife Jenna Dewan-Tatum, who play Jake and Jess, a couple attending the reunion where Jake intends to propose to her. His plans go slightly awry when he runs into his ex-girlfriend (Rosario Dawson), who he hasn't seen since high school. 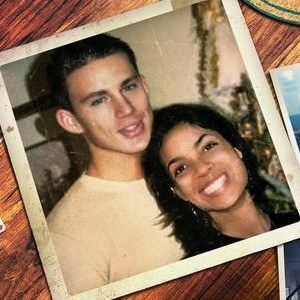 Take a look at the one-sheet and this photo featuring Channing Tatum and Rosario Dawson.